Texas musicians Freddy Fender and cohort Doug Sahm were Texas music legends. 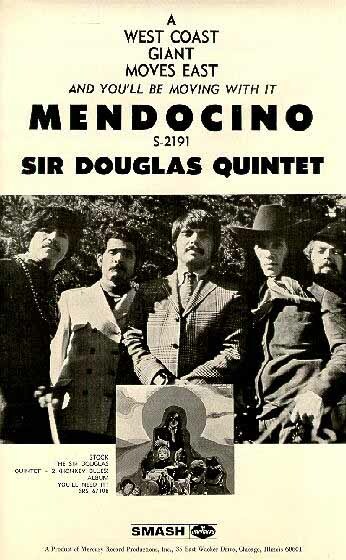 Freddy (birth name Baldemar G. Huerta) is perhaps best known for his signature song Wasted Days and Wasted Nights, whereas Doug was most famous for his time spent heading up namesake group the Sir Douglas Quintet (Mendocino, She's About A Mover). 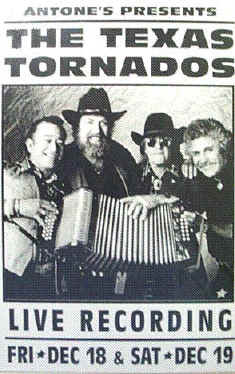 While Freddy and Doug still pursued solo projects, in recent years they had teamed up with noted accordian player Flaco Jimenez, and keyboardist Augie Meyers, to delight audiences as The Texas Tornados. Unfortunately, 'Sir' Doug left this world in November 1999. You may wish to read a brief press account. 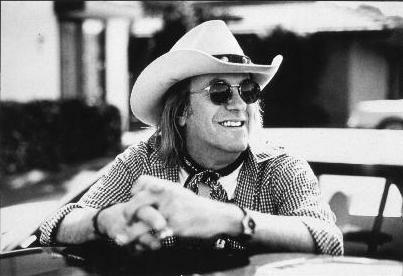 For an extensive discography/biography, check out the Vinyl Tourist Doug Sahm Pages. 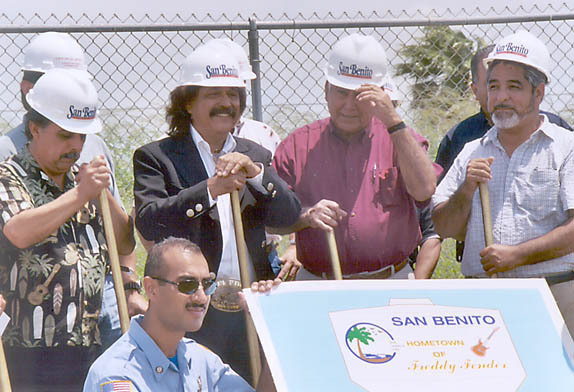 More recently (2006) Freddy Fender also departed for TuneFan Heaven. You may wish to read a brief press account. 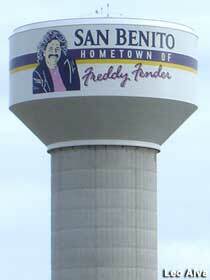 San Benito, Texas, located in the lower Rio Grande Valley, is the hometown of Freddy Fender. 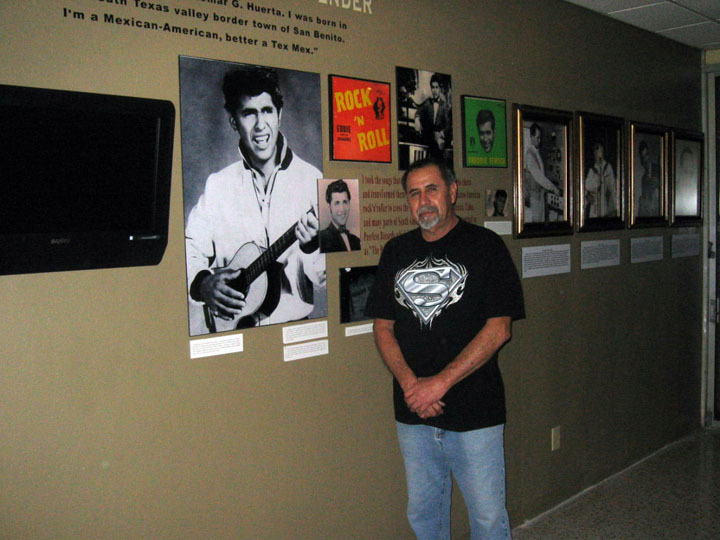 In December 2008, Mr. Rey Avila, President, Texas Conjunto Music Hall of Fame and museum curator (please see article he is cited in 'You Can See It All At The San Benito Museums'), was gracious to give a tour of the Freddy Fender Museum and Texas Conjunto Music Hall of Fame Museum, both housed in the same building at 210 E. Heywood St. in downtown San Benito. Mr. Avila informed me that Ideal Records was based there at one time, and showed me the original metal molds, vinyl presses, vinyl and labels used in producing records for many regional musicians. During the tour, Freddy's brother, Jose Luis, stopped by sharing insights such as how Freddy came to record his mega hit Before The Next Teardrop Falls (see 1979 performance video of Rancho Grande & Before The Next Teardrop Falls). 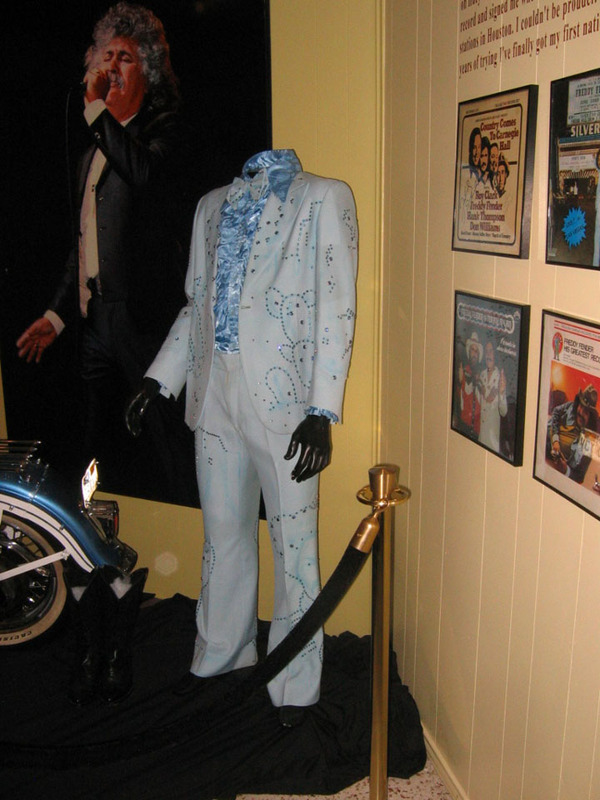 The museum features a very nice ten minute video describing Freddy's life, a favored motorcycle, clothing he wore, musical instruments, and much more that are great to see. I would highly recommend a visit to both museums, not only for what they include, but the friendly atmosphere and knowledge that Mr. Avila and other curators are very happy to share. 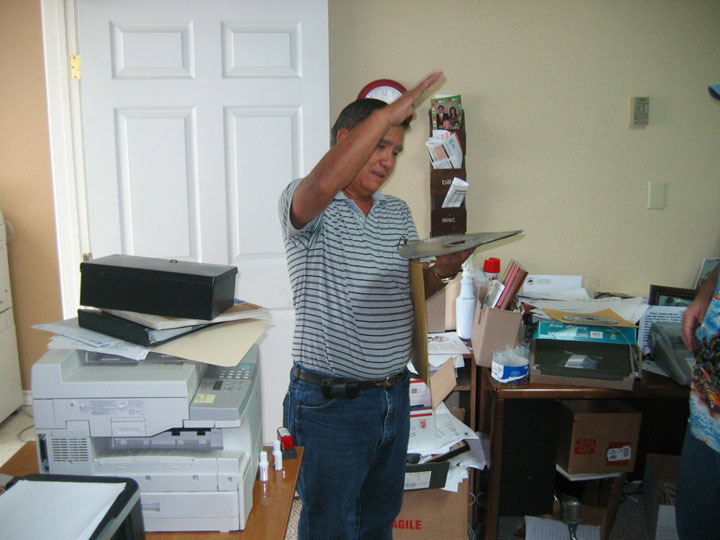 Mr. Avila indicated the museums will at some point move to larger quarters where they will recreate a recording studio and setup the Ideal Records press and equipment. 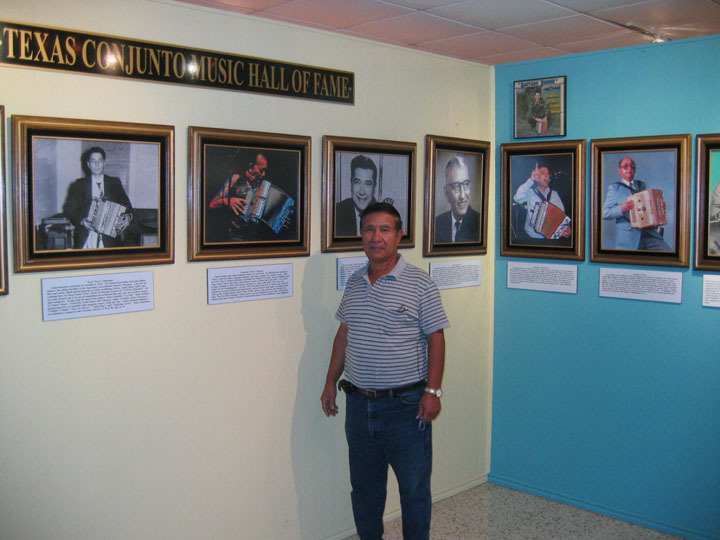 Video of Mr. Rey Avila, President, The Texas Conjunto Music Hall Of Fame, informs visitors about various Conjunto artists, including the Jimenz family. 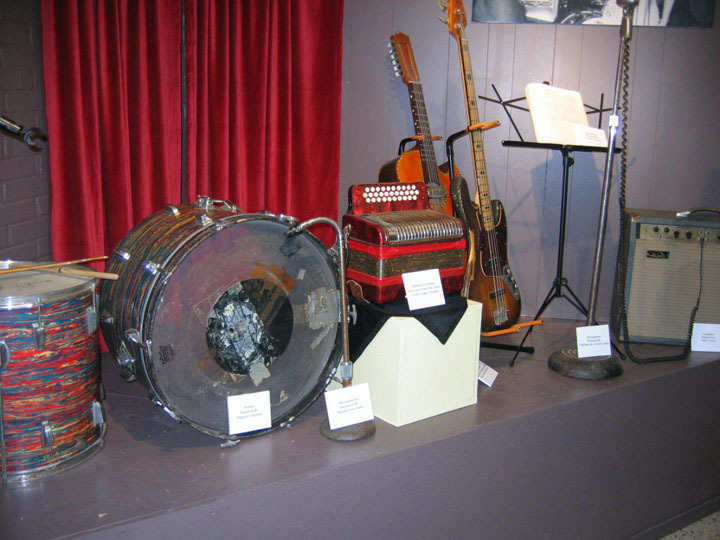 Accordion player Flaco Jimenez was a member of The Texas Tornados, and as such played with Freddy Fender and Doug Sahm. Mr. Avila also discusses the history of Conjunto music. As follows are photos from the visit. 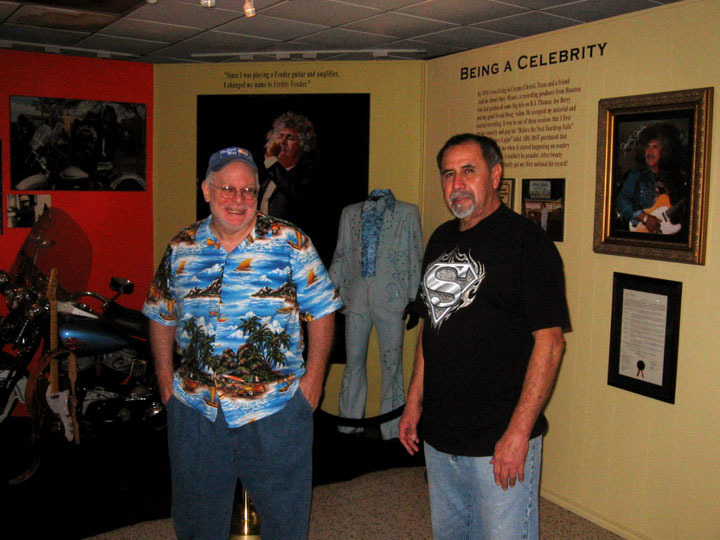 Mr. Rey Avila, a curator for the Freddy Fender Museum and Texas Conjunto Music Hall of Fame (which he is also President of), signs in a couple of museum visitors at the San Benito, Texas location. 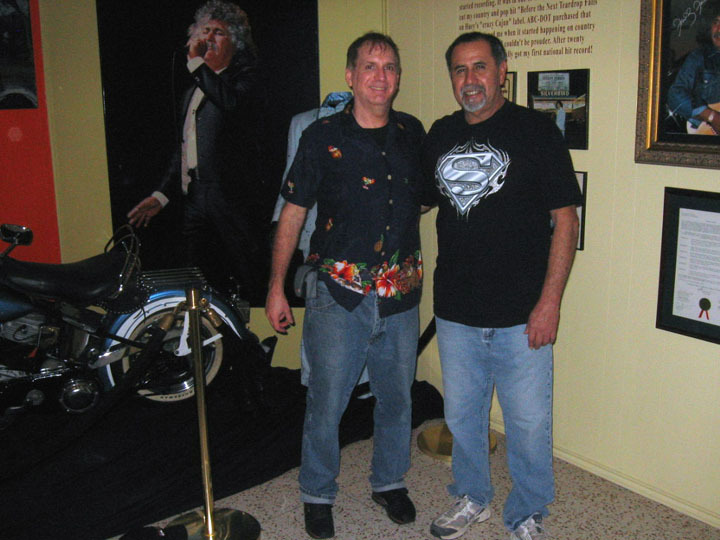 Mr. Rey Avila and me in front of Freddy Fender memorabilia at the Freddy Fender Museum, San Benito, Texas. 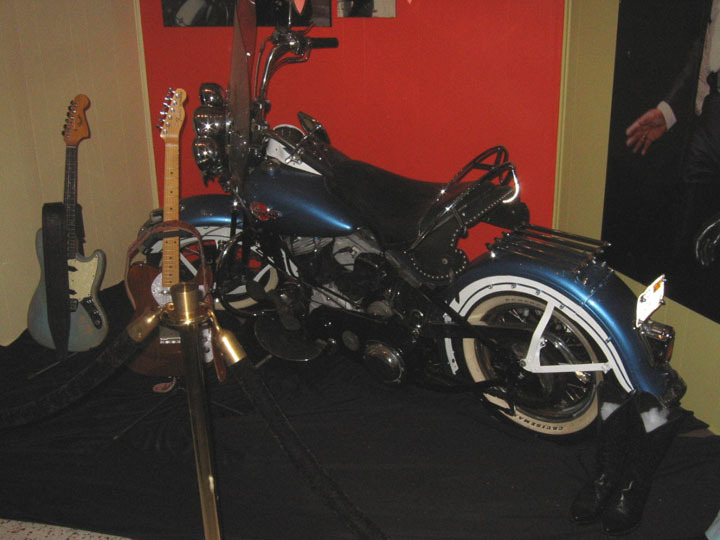 One of Freddy Fender's motorcycles, his guitars, and a beautiful light blue performance outfit complete with sequins. 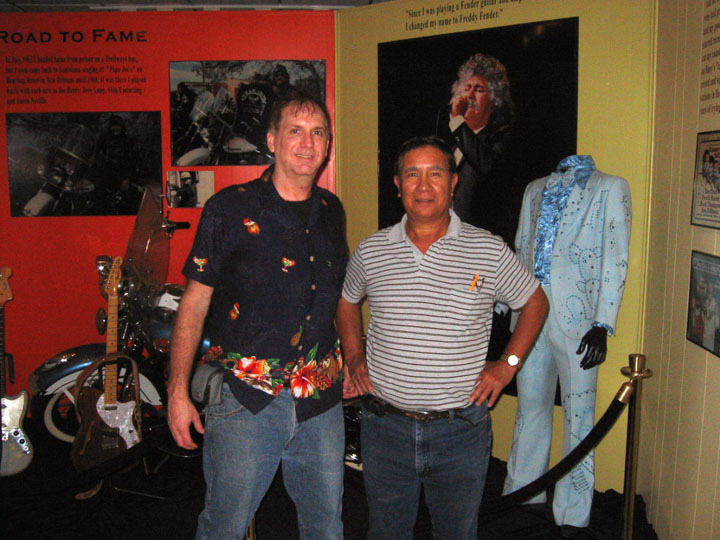 Freddy Fender's brother stopped by the museum and was good enough to take a few photos. In the top photo you can see him by a poster of a very young Freddy Fender. 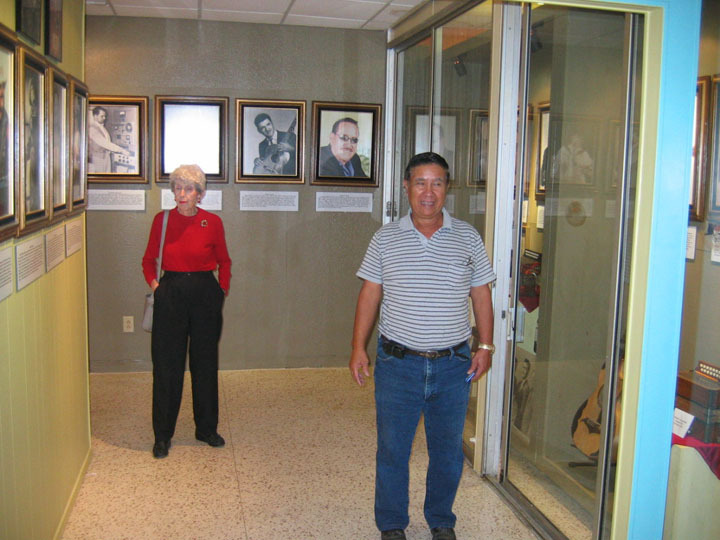 Mr. Rey Avila giving visitors a tour of the Texas Conjunto Music Hall Of Fame and Museum. 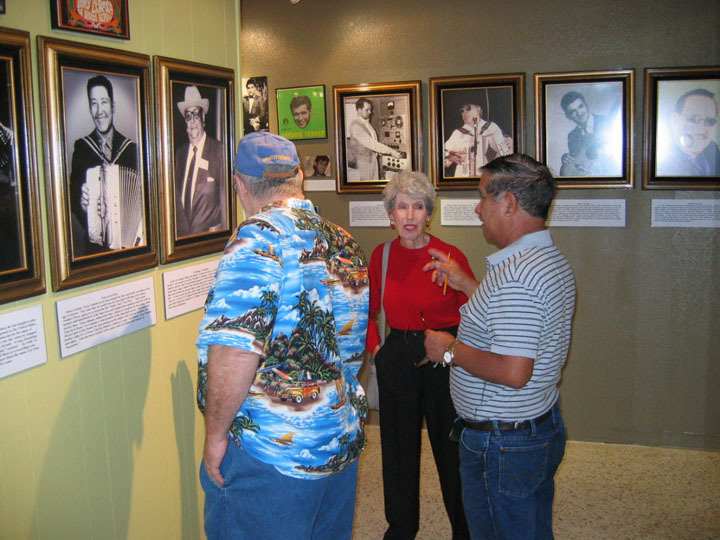 Numerous Conjunto artists are displayed on the walls, along with their contribution to the music genre. 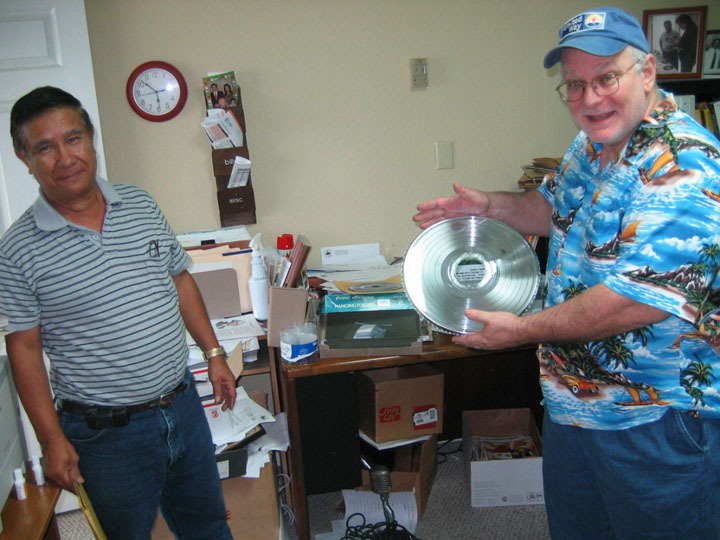 (Top)A museum visitor holding a metal record mold manufactured in California. product in between--producing a record. 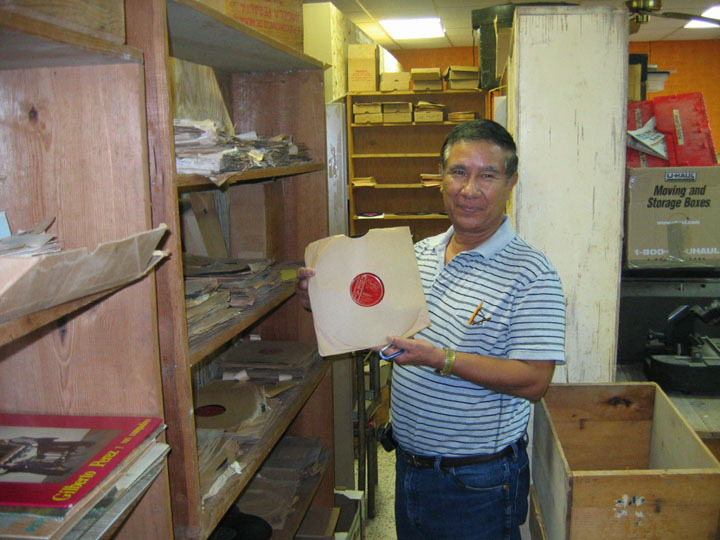 Mr. Avila holds a finished vinyl record, manufactured some years back by Ideal Record company, San Benito, Texas. 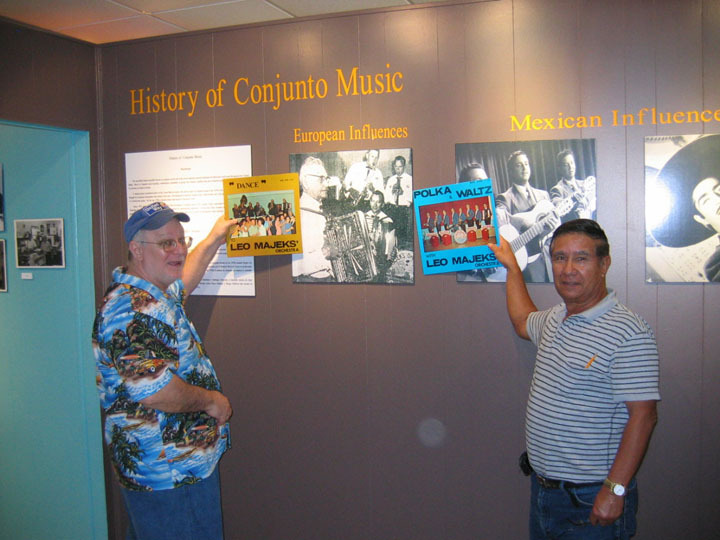 A visitor and Mr. Avila hold up records in the museum section exploring the history of Conjunto music, which include Mexican and even European influences. Conjunto music vintage musical instruments. --At March 2009 Freddy's image continues to grace the city water tower. 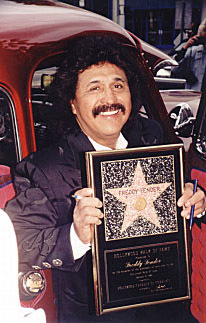 In February 1999, Freddy Fender received a star on the Hollywood Walk of Fame. Doug Sahm (l), when he headed up the famed Sir Douglas Quintet (courtesy Vinyl Tourist Doug Sahm pages). 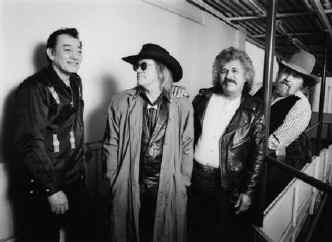 The Texas Tornados (l), 1996: (from left) Flaco Jimenez, Doug Sahm, Freddy Fender, and Augie Meyers (courtesy Vinyl Tourist Doug Sahm pages). 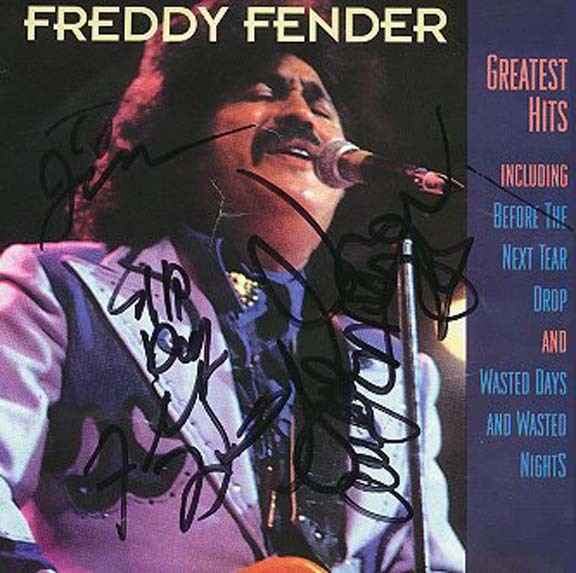 Besides the great Freddy Fender's autograph, this mish-mash of scribbling, also sports Doug Sahm (formerly of The Sir Douglas Quintet), keyboardist Augie Meyers, and Flaco Jimenez, a master accordion player. Wasted Days & Wasted Nights sheet music. 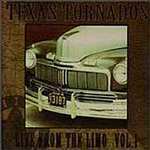 Concert flyer from The Texas Tornados December 1998 live recording at Antone's, Austin, Texas. 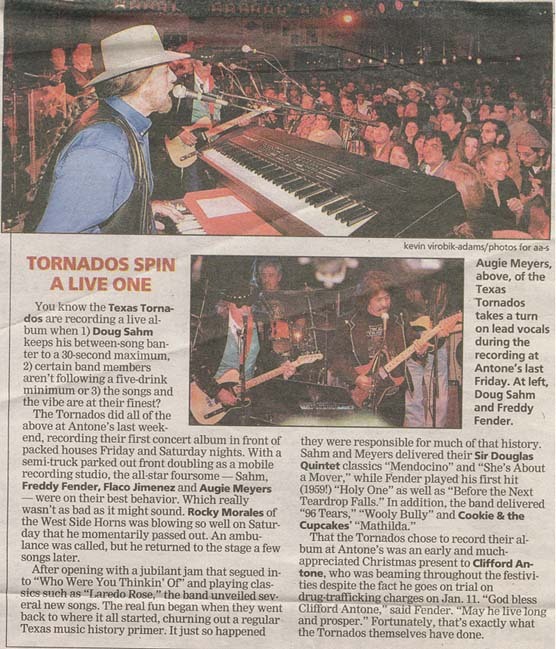 The following are pictures taken of Freddy Fender, Doug Sahm, and Flaco Jimenez, who along with Augie Meyers, billed themselves as The Texas Tornados, at a December 1998 performance at Antone's, Austin, Texas. 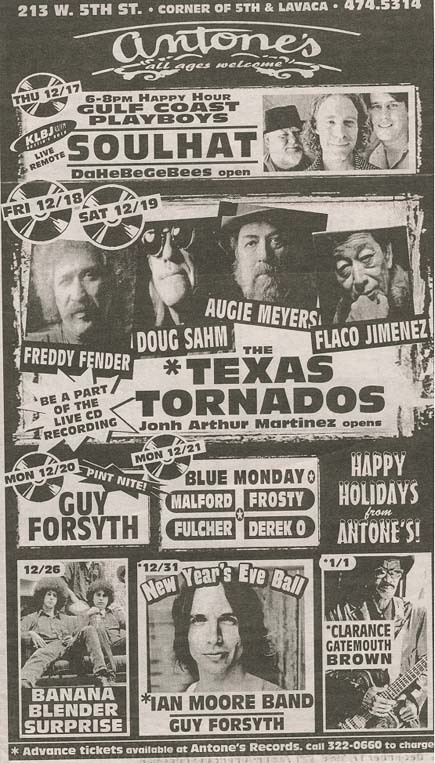 Even though Doug Sahm did not pass away until the following November (1999), it is likely that this was among the last performances the Texas Tornados did together, or most certainly the last with such a full backup complement of musicians. The Tornados were cutting their "Live From The Limo" CD, so extra effort was put into the performance, and is why this event was so special and important! Ay! Yi! Yi! Freddy exhorts the crowd. 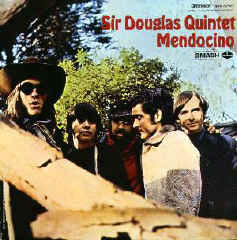 'Sir' Doug belts out Mendocino, a mega hit when he headed up The Sir Douglas Quintet. Doug Sahm and Freddy Fender. The two went back a long ways. Doug Sahm chuckling over Freddy's having a bit of fun. Freddy and his Fender guitar (naturally). Freddy looks satisfied at the notes he is hitting, as Flaco Jimenez looks on. Antone's advertisement run in the December 17, 1998 Austin American Statesman. Post event critique run in the December 24, 1998 Austin American Statesman. 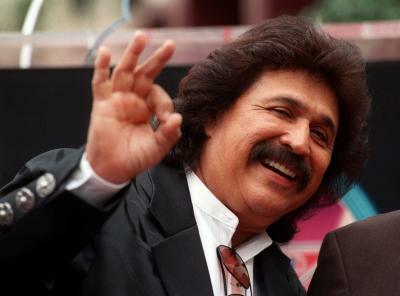 Freddy Fender also played The Old Dessau Music Hall, a venue just north of Austin, Texas on September 27, 1997. Old Dessau Music Hall sign with Freddy on the Marquee. Old Dessau Music Hall ad run in September 25, 1997 Austin American Statesman. Freddy and his band delighting the audience. Long-time friend Doug Sahm (not shown), also stopped by to sing a tune or two. Freddy crooning away. What a great voice! Narciso Martinez "Father Of Texas-Mexican Conjunto"